Army Capt. 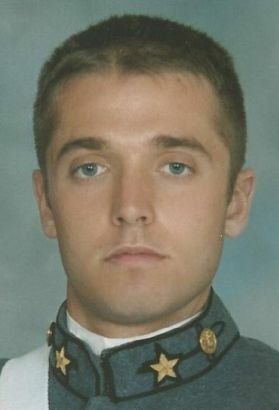 Shawn G. Hogan - Run for the Fallen New Hampshire, Inc.
28, of Salem, NH; died at Land Between the Lakes Recreational Area, Golden Pond, Ky. from injuries sustained in a training exercise. Shawn was born in Albany, N.Y. and grew up in Salem, N.H. He graduated from Salem High School in 2002, where he was co-captain of the cross country team. Mike Grobecker, a friend since the 7th grade said Shawn had "a disco ball and a water bed" in his bedroom, which in Grobecker's eyes made him a "rock star" as a kid. Shawn ran the Boston Marathon as an SHS senior and finished in two hours and 53 minutes. "That's around six-and-a-half minutes per mile for 26.2 miles," Grobecker said. "Most people train their whole life to get in less than three hours and he did it in his first try." Shawn and friend Mike Grobecker had many adventures, including ski trips to Mount Killington in Vermont and hiking trips in New Hampshire's White Mountains. It helped Grobecker knowing Hogan was "pushing limits, doing what he loved for the people that he loved" when he lost his life. "With Shawn gone, the world has become a little less adventurous," Grobecker said. "Shawn was the most dynamic, intelligent and passionate person I ever knew," said Quy Pham, another childhood friend from Salem. After graduation, Shawn entered the Virginia Military Institute. 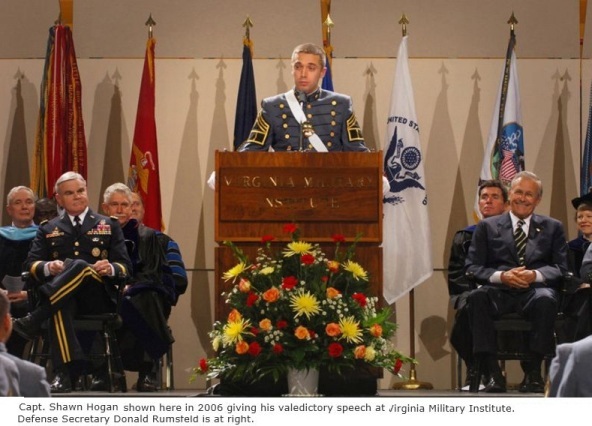 He graduated in VMI’s Class of 2006, where shared the stage with Secretary of Defense Donald H. Rumsfeld during the graduation ceremony. 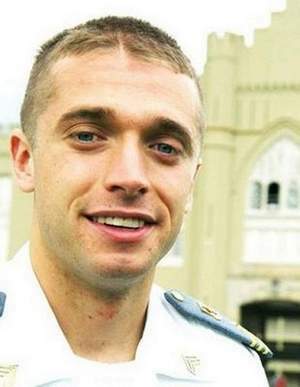 While he was a student at VMI, he was captain of the cross country and track teams. Nick Mazzenga, one of Shawn’s VMI classmates who ran for the school’s cross country team alongside Shawn, said the English language doesn't have the words to describe how great Shawn was. "Maybe that's why he never really talked about himself, because he didn't know what to say," Mazzenga said. Upon graduation, his first assignment was with Headquarters and Headquarters Company, 630th Engineer Bn., Fort Drum, N.Y., where he served as a Platoon Leader and Executive Officer, then as a Battalion S4 with the 7th Engineer Headquarters. In 2009, he was one of two combat engineers named tops in a competition featuring 68 of the Army's top engineers. The 2009 Best Sapper Competition was categorized as an “intense 52-hour, six-phase contest.” Then-1st Lt. Shawn Hogan and Master Sgt. Michael Behkendorf beat out 33 other two-person teams to take top honors, after placing second in the contest the previous year. In addition to bragging rights, they received the Army Commendation Medal, the Bronze Order of the de Fleury Medal and a trophy. After Special Forces Assessment and Selection, he went on to complete the Special Forces Qualification Course. Upon graduation and receiving his Green Beret in 2012, Shawn was assigned to Bravo Company, 4th Bn., 5th SFG (A) where he served as the Detachment Commander of Special Forces Operational Detachment – Alpha 5423. Shawn was an avid rock-climber, hiker, skier, long-distance runner and in general, a thrill-seeker. He was also an avid reader. 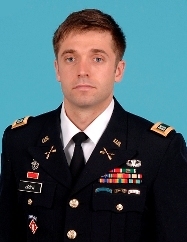 "Shawn was known for his passion for adventure and humility," said Army MSG Jonathan Ramer. "Shawn's sense of humor was unlike any other." His military education includes the Engineer Officer Basic Course, Sapper Leader Course, Unit Movement Course, Ranger Course, Armor Course, Airborne Course, Survival, Evade, Resistant and Escape Course, Special Forces Qualification Course and the Detachment Leaders Course. His military awards and decorations include the Bronze Star Medal, two Army Commendation Medals, two Army Achievement Medals, the Army Service Ribbon, the Global War on Terrorism Service Medal, the Iraq Campaign Medal with one Campaign Star, the National Defense Service Medal, the Army Service Ribbon, the Sapper Tab, the Ranger Tab, the Special Forces Tab and the Parachutist Badge. Shawn is survived by his parents, Richard and Jean Hogan of Salem, N.H.; sister, Nicole Hogan of Salem, N.H.; girlfriend Karree Emmons of Clarksville, Tn. and her daughter Kaylynn; maternal grandmother, Dorothy Joly of Colonie, N.Y.; several aunts, uncles and cousins.